Does DeskManager Run on Mac? Here’s a question we get fairly often at AutoManager. Although PCs remain the most common business machines worldwide, and by a wide margin, we know some dealers work on Mac computers. And several have asked us whether we’re developing a version of DeskManager DMS that runs on a Mac. The answer to that immediate question is “No.” We’ve decided to focus on continually improving and upgrading our Windows product at a pace that we just couldn’t match if we had to simultaneously develop each change for the Mac platform. But chin up, Apple fans. DeskManager can already run on your Mac. (In fact, for a few very technical reasons, it might perform faster than it does on Windows.) 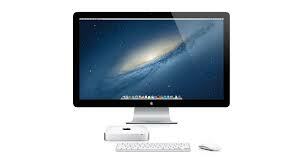 But if you want to use DeskManager on your Mac (or even an iPad), you’ll need to access it through a cloud server. A cloud server is a remote location where your software is installed, maintained and accessed over a network, rather than having it installed and maintained on your own computer. Nowadays you can securely access software that’s on a server computer and view/control it from almost any internet-capable device, including smartphones and tablets. Once you load the software, it should behave much the same as it would on your computer. There are several reasons you might want to do this, beyond the ability to use DeskManager on a Mac. It eliminates IT costs. When hardware issues arise, it’s your hosting company’s responsibility to fix them. And they have a compelling reason to do it quickly, because it likely affects their whole client base (and thus, their source of profit). It’s faster. A common fear about cloud-hosted software is that it will get slowed down by your internet connection. The truth is, many processes are actually quicker. Business servers typically have many times more computing power than the desktops at your dealership. Most of the information that has to be sent over the internet for DeskManager to work is simple commands. So unless your connection is uncommonly slow, DeskManager should zip along on the cloud. It allows you to use DeskManager on a mobile device. Let’s say one of your salespeople is on a test drive with a potential buyer, and wants to submit a credit check from the road to speed things along. They can actually do that with a cloud-based DeskManager and a web-enabled tablet or mobile phone. Plenty of reputable cloud hosting businesses exist, but it’s important to choose one you absolutely trust with your data. We highly recommend RemoteAppHosting.net due to their familiarity with our software, competitive pricing and our absolute confidence in their commitment to data privacy. You’ll also need an RDP client for each device you want to connect to DeskManager. PocketCloud is a popular, free RDP client for iPhone and iPad, and Microsoft’s official RDP client does a great job on Mac computers.